We will have a variety of art projects and fun over the course 5 days! Buy One Week and Get the Second Week 15% off using promo code: "ArtCamp2019" when checking out! A minimum of 4 campers will be required to hold this week's camp. Should we not reach 4 you will have the option of a refund or to move to a different week of camp! You will be notified by the Friday before class is set to begin. Parents/Guardians will drop campers off. We will email you an emergency contact/waiver the week before class. While we do require an adult with underage painters for our public classes, this is a closed kids camp with only participants and instructors. 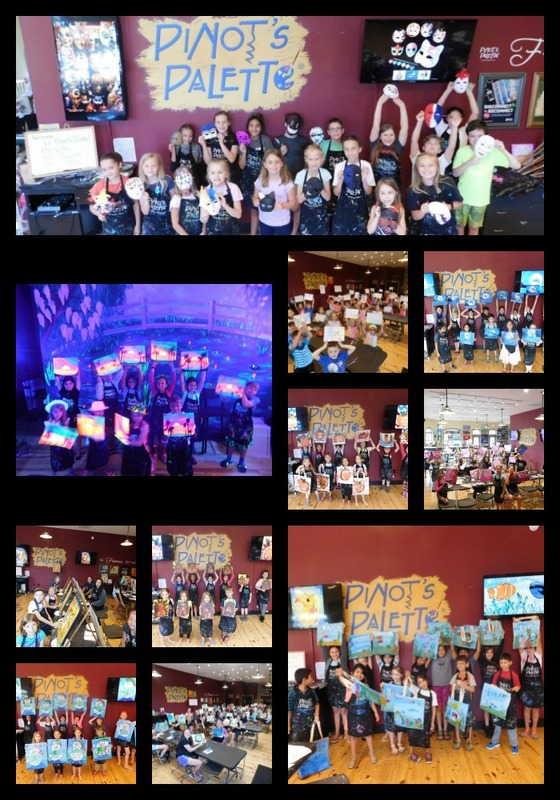 Pinot's Palette cancellation policy is as follows: A full refund can occur if notification of cancellation occurs at least 48 hours before the week of Summer Camp classes start. A credit can be issued if notification of cancellation occurs at least 24 hours in advance. No refunds or credits issues for same day cancellations or no shows.